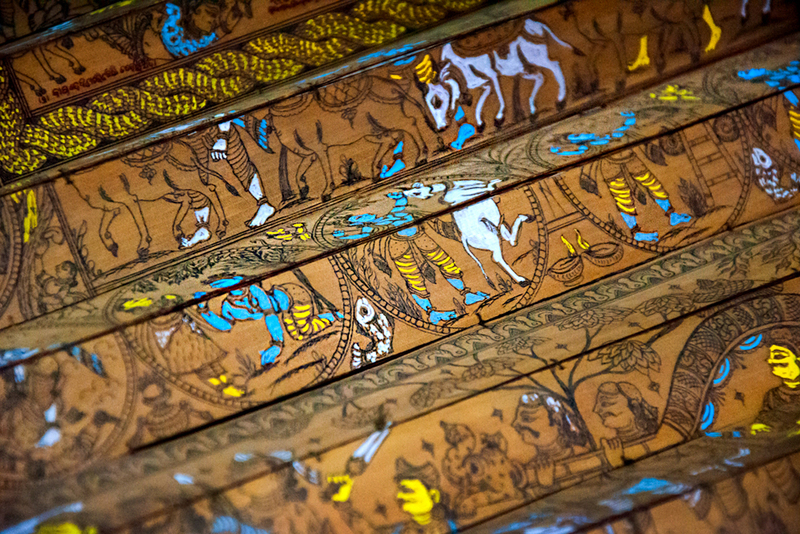 The Talapatra chitra or the palm leaf painting is a known art form of the village Raghurajpur, Puri district, Orissa. The fine pictorial depiction makes distinguishes this art form from the rest. The fine lines and overall look and placement of elements stands out in a unique way. Even without the depth or perspective visualization the art work has got its prominence for the two dimensional look and feel. Elements of the art form such as drawings of mythical stories, minimum colors, fine lines and motifs are addition of charm. The postures and detailing are well defined and add to the aesthetical feel. 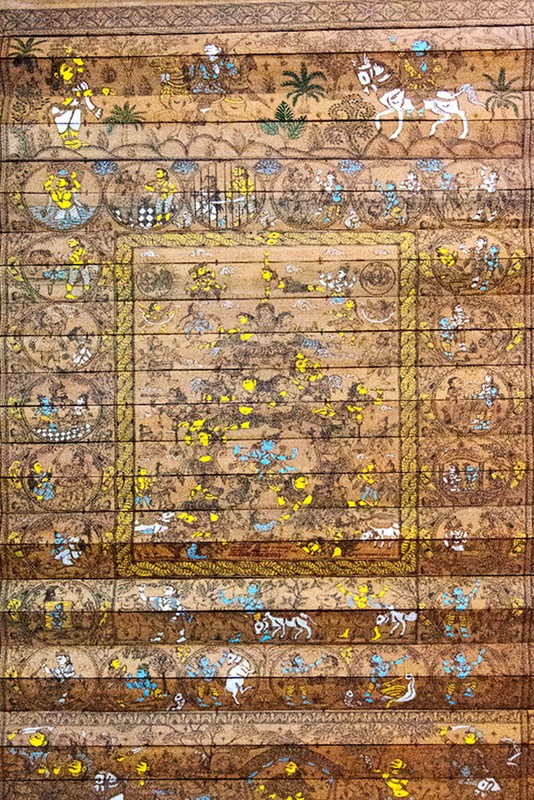 Palm leaf paintings range from eight to twelve inches of width and length can go up to the number of palm leaves added or sewed to one another. The palm leaf are good sign of victory and health hence few prefer to keep the art work made of palm leaf.